Flash BOGO Sale - 12 HOURS ONLY! - Rebel Green: Eco-Friendly Products Responsibly Made in the U.S.A. 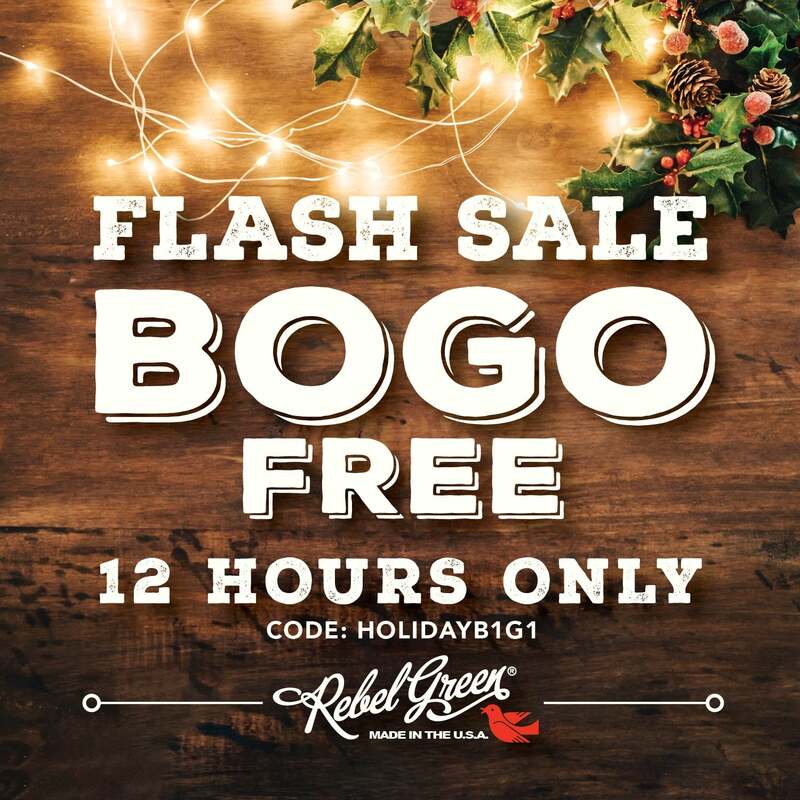 Flash BOGO Sale – 12 HOURS ONLY! Take advantage of this limited-time offer: Buy one product from the Rebel Green Shop and receive a second item of equal or lesser value for free when you enter coupon code HOLIDAYB1G1 at checkout. No item limit. Offer is not valid on auto-ship or “Year’s Supply” products. Offer begins on Wednesday, December 20, at Noon EST, and expires Thursday, December 21, at Midnight EST. SHOP NOW!